A law firm that represented mayor Andre Sayegh’s campaign last year is in line to get legal work from the city. Sayegh administration officials added Newark-based Genova Burns to a list of more than two dozen law firms expected to get lucrative legal work last month. Paterson spends more than $700,000 a year to pay outside law firms to handle cases. At question is whether the Sayegh administration played foul of the municipal pay to play law. The law firm in a disclosure statement filed with the city stated it did not make any monetary or in-kind contributions to the Sayegh campaign. If it did it would be barred from receiving work from the city. Sayegh campaign finance reports do not list any payments made to the Genova Burns firm for their work. Genova Burns sent about two dozen letters to people working for Sayegh’s rivals to deter mail-in voter fraud in April. It spent approximately two hours on the assignment, according to a source. “I’m fairly certain we paid them,” said Sayegh on Thursday. He said he needed more time to look into the matter. Sayegh could not supply any evidence that his campaign paid the law firm. “They never invoiced us and we never gave them a check,” said Sayegh’s campaign treasurer Robert Ardis on Friday morning. 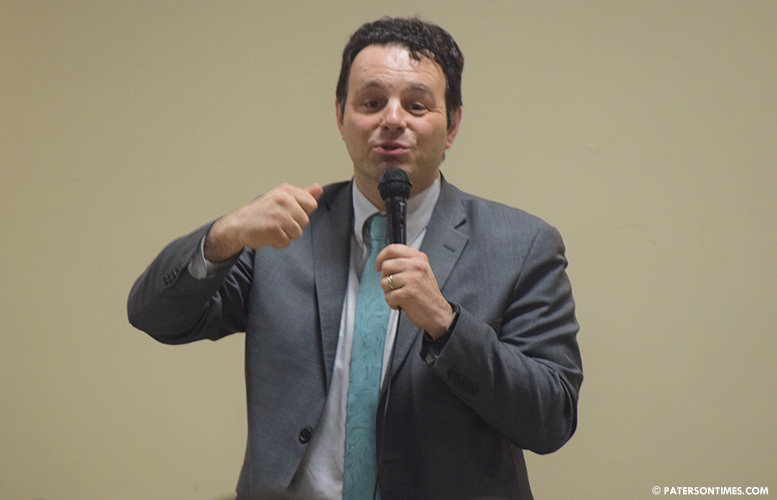 The work would fall under in-kind contribution without a payment from Sayegh’s campaign and potentially violate municipal pay to play ordinance. Sayegh said he could take the firm off the list if there were any pay to play violations. He would not say if he planned on doing so. He could also pay the firm for the work and cure any possible violations. The mayor sponsored the pay to play law when he was a councilman years ago. The contracts for the law firms were approved by the City Council last month. Each firm was capped at $20,000, according to council members. Council president Maritza Davila said she needed more information before she could comment on the matter. Sayegh expanded the list of contracted law firms from 13 to 28. Some like Sayegh’s mayoral election opponent Pedro Rodriguez suspect the list was expanded to dole out work to groups that bankrolled the mayor’s campaign. “He continues to feed those who helped him during the campaign,” said Rodriguez on Thursday. Rodriguez accused Sayegh of being in the pocket of special interest groups throughout the mayoral race.